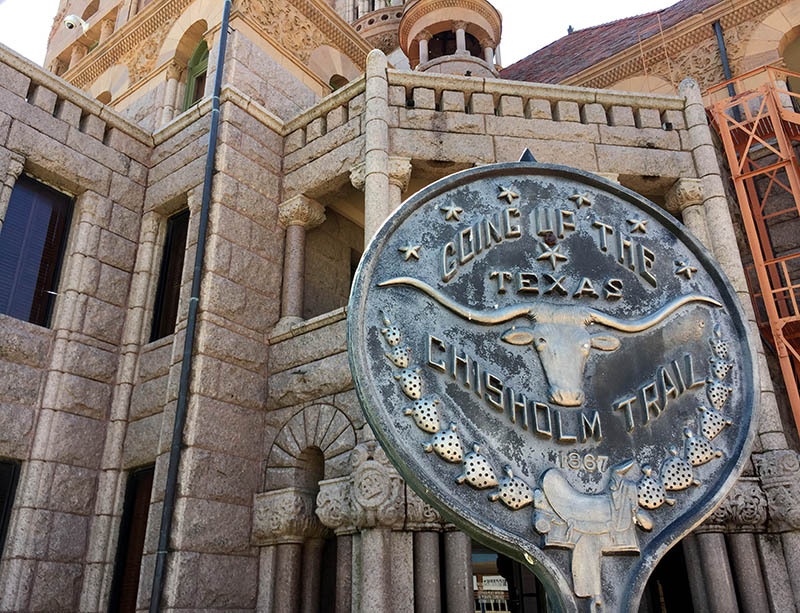 The Texas Historical Commission highlights dozens of these towns in its recently released travel guide and mobile app tour, The Chisholm Trail: Exploring the Folklore and Legacy. Coinciding with the Chisholm Trail’s 150th anniversary, these resources offer a glimpse into the state’s rich cowboy heritage, stretching from the Rio Grande to the Red River. Among the occasionally overlooked areas is the Texas Brazos Trail Region, comprising 18 counties in Central Texas between Austin and Dallas-Fort Worth. 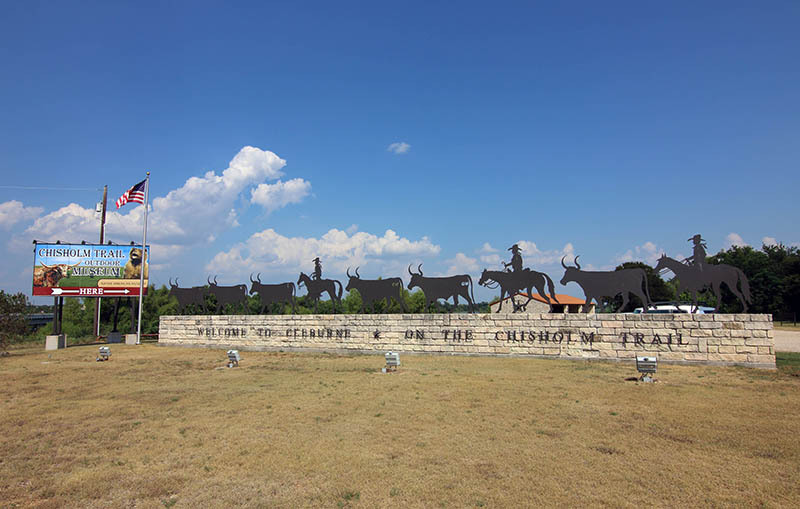 Although experts have long debated the locations and names of the routes associated with the Chisholm Trail, the Brazos region contains an extraordinary number of historical references to cattle trails, including the Chisholm, Goodnight-Loving, and Shawnee. 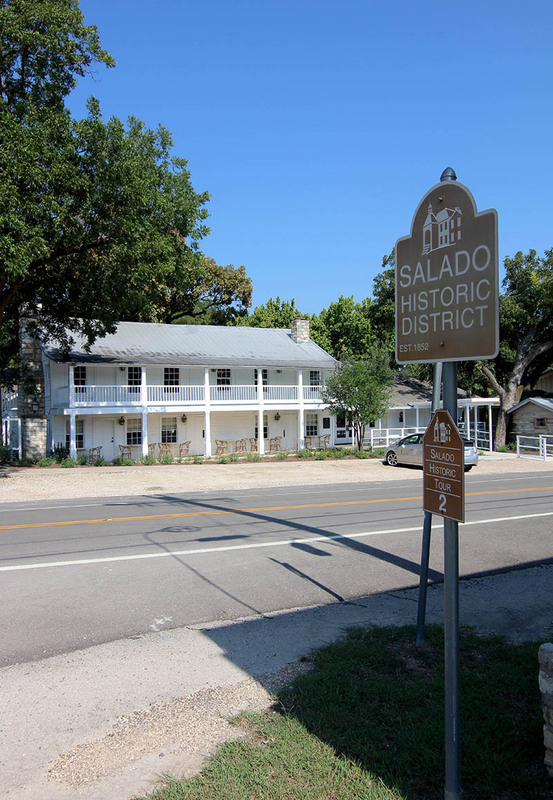 One of the region’s most notable trail-related destinations is Salado’s Stagecoach Inn, a Recorded Texas Historic Landmark 50 miles north of Austin. The site was recently renovated, returning the nearly 150-year-old structure to a charming restaurant with alluring wood textures, historical detailing, and popular menu items from the 1940s. The property’s origins date to 1852, when it opened as a stagecoach stop on the former location of a Tonkawa village. The site’s proximity to Salado Creek and a natural spring also drew settlers, and the cool water provided a welcome natural respite for travelers and livestock on the trail. By 1861, a hotel occupied the property. The Chisholm Trail also brought new residents to town and helped establish Salado’s reputation as a burgeoning cultural center. Salado College was founded in 1860 across the street from the inn. In 1943, the Stagecoach Inn embarked on a trail to national prominence when new owners Dion and Ruth Van Bibber acquired the property. “Mrs. Van” created and prepared famous dishes—including hush puppies and strawberry kisses—that drew raves and customers from across the country. The Stagecoach thrived before Interstate 35 bypassed Salado in the late 1960s; afterward, it remained a destination, albeit for smaller numbers until this year’s restoration. Nine miles up the road is Belton, another significant destination on the Chisholm Trail. The trail is a focal point of the Bell County Museum, located in a handsome Beaux Arts 1904 Carnegie Library building. Visitors are greeted at the main entrance by a towering 17-foot-tall monument called “Up the Chisholm Trail” by Salado sculptor Troy Kelley. The bronze and plaster monument includes 17 engraved panels, three sculptured longhorns, and is topped by a Texas Lone Star. Historical topics depicted on the panels include the contributions of vaqueros, a prominent cattle crossing at nearby Salado Creek, and the story of Williamson County’s Harriet Standefer Cluck, who rode up the trail in 1871. 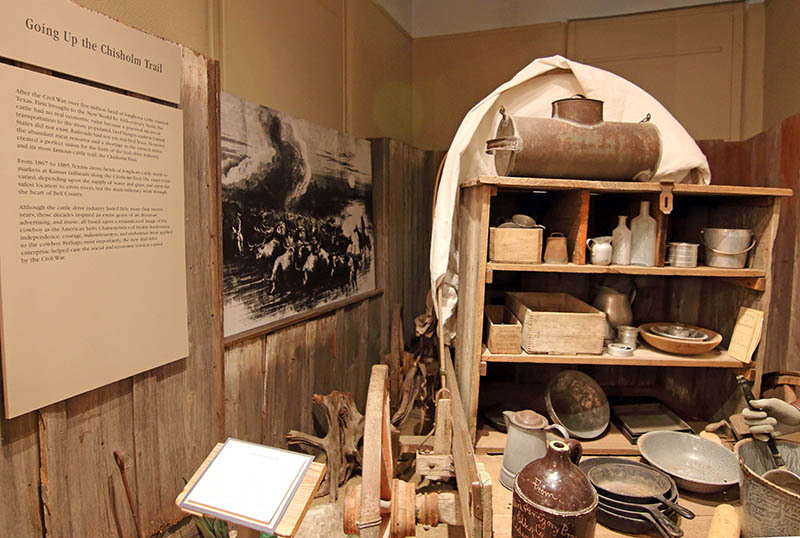 She adds that the museum’s chuck wagon exhibit is especially popular with students, who ask about life in Belton at the time of the Chisholm Trail. Ricketts tells them about the challenges of crossing rivers, wrangling stray cattle in thunderstorms, and preparing meals while on the trail. “The kids are amazed by the idea of mobile meals coming from the chuck wagon—I tell them it was like the first food truck,” she says. 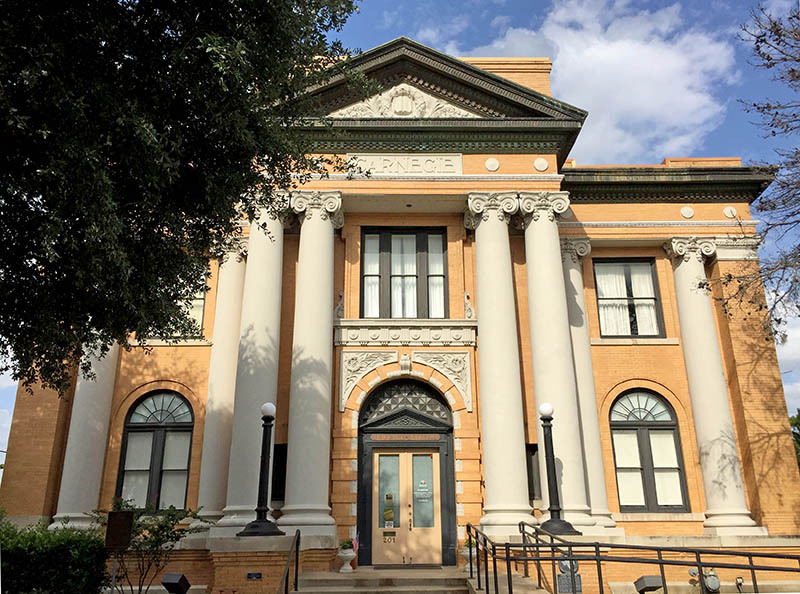 While in Belton, heritage travelers can also visit the historic Bell County Courthouse, an impressive Renaissance Revival structure dating to 1885. 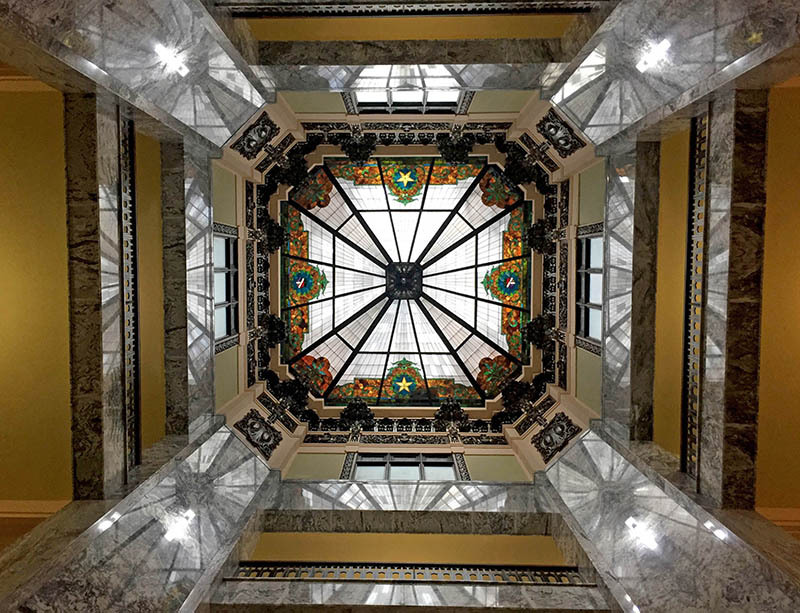 A State Antiquities Landmark, the courthouse was designed by Austin architect Jasper Preston, who worked on early plans for the Texas Capitol. While traversing the Brazos Trail’s lesser-known routes, make a point to visit the artistic communities of Meridian and Clifton in Bosque County. 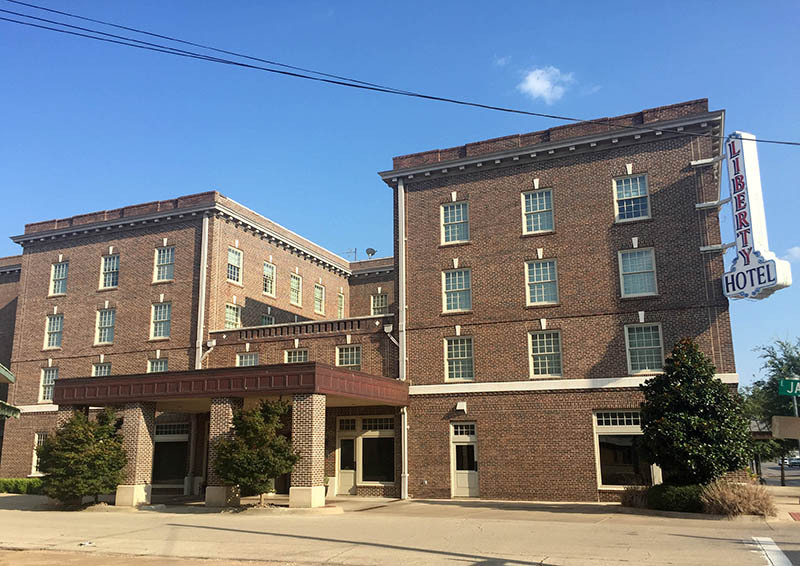 In Meridian, musical history plays a role at the Bosque County Collection, housed in the 1884 Lumpkin Building. Among the Bosque County Historical Commission’s publicly accessible files are a portion of the papers and oral histories of musicologist John Lomax, who grew up in the area. Across the street is the magnificent 1886 Bosque County Courthouse. 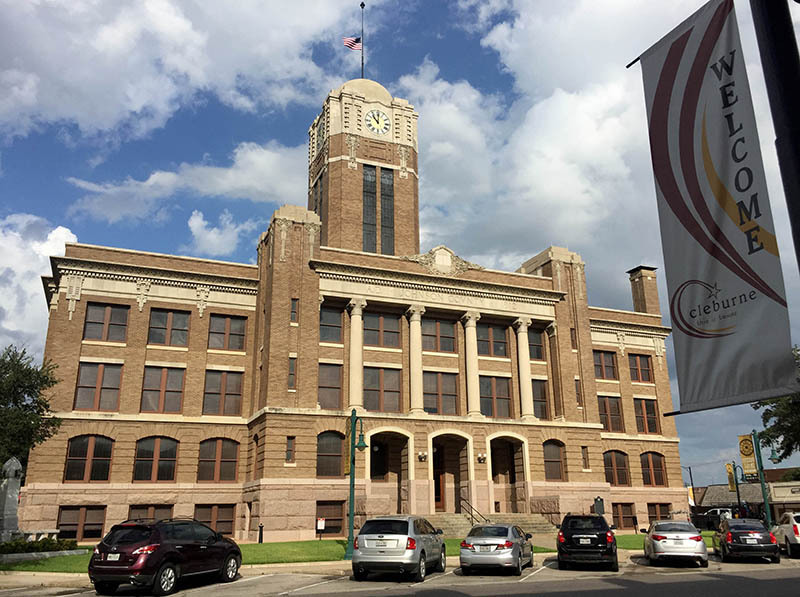 The three-story Victorian Gothic Revival building, featuring a picturesque Italianate clock tower and corner turrets, was restored through the THC’s Texas Historic Courthouse Preservation Program (THCPP) in 2007. During the cattle drive era, a portion of the Chisholm Trail passed near Clifton. 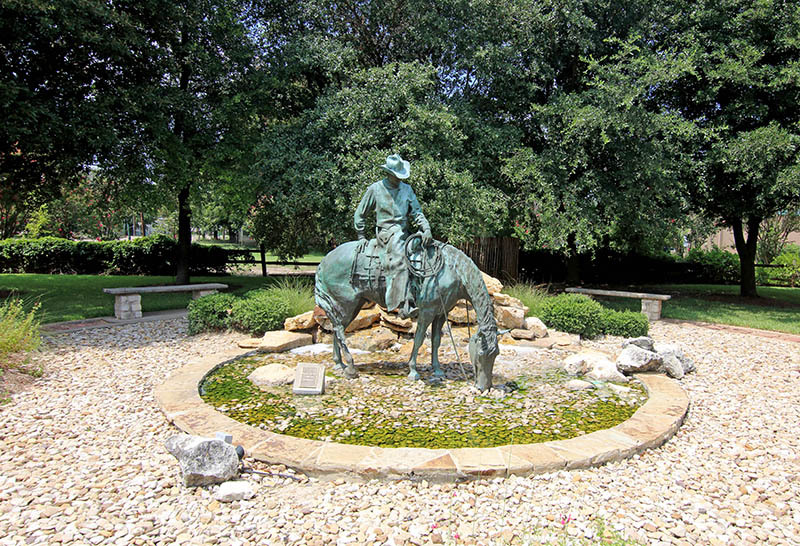 Its legacy is honored at Heritage Plaza with “On the Banks of the Bosque,” a sculpture depicting a cowboy on horseback at a watering hole. The Bosque Museum showcases trail-era history with exhibits including pioneer guns and handmade woodcraft. About an hour’s drive north is Cleburne, located in the southern portion of the Texas Lakes Trail Region. 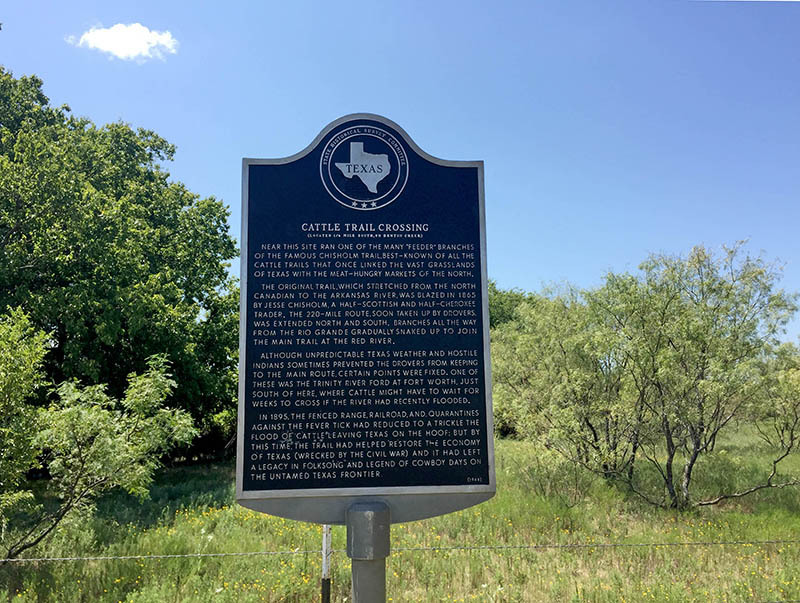 Cleburne’s Chisholm Trail Outdoor Museum is on the original townsite of Wardville, established in 1854 and now commemorated with a THC marker. “We have visitors from all over the state and even some international travelers who are really captivated by the Chisholm Trail’s legacy,” says the museum’s Diane Gilbert. While in Cleburne, be sure to visit the Layland Museum, housed in an impressive 1905 former Carnegie Library. 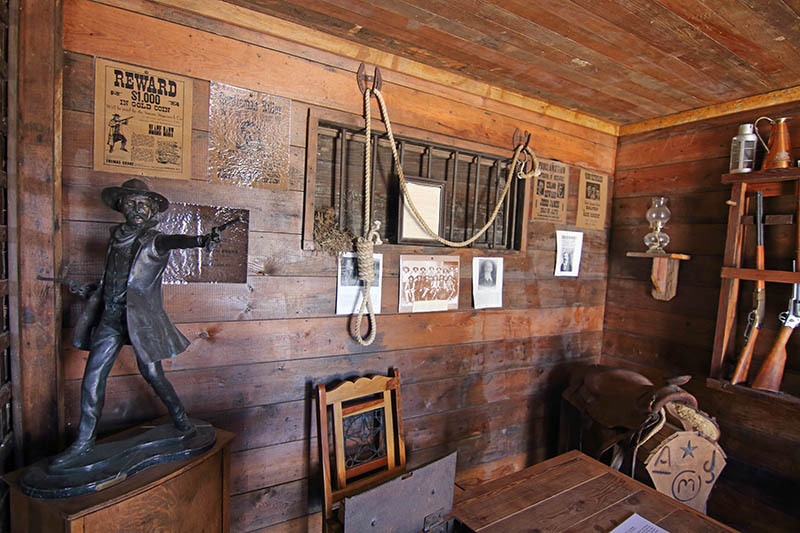 The museum features eclectic objects collected in the early 1900s by local businessman William Layland, including books and household items from the Chisholm Trail era. 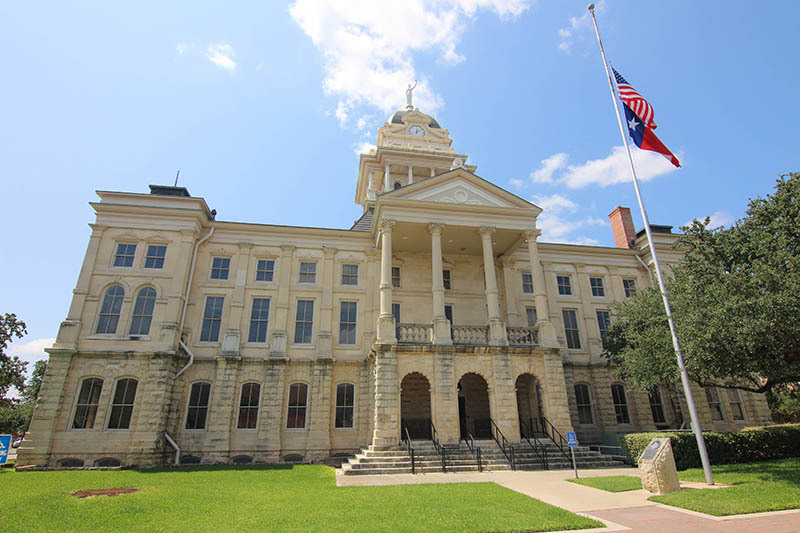 Just down the street, the Johnson County Courthouse anchors Cleburne’s historic downtown square. The eye-catching 1913 structure, restored via the THCPP in 2007, is notable for its dynamic Prairie School design, representing a dramatic shift in architectural style from the Victorian approach to contemporary influences like Frank Lloyd Wright. Stay off the beaten path by heading 70 miles north to Decatur, another Chisholm Trail-related community. 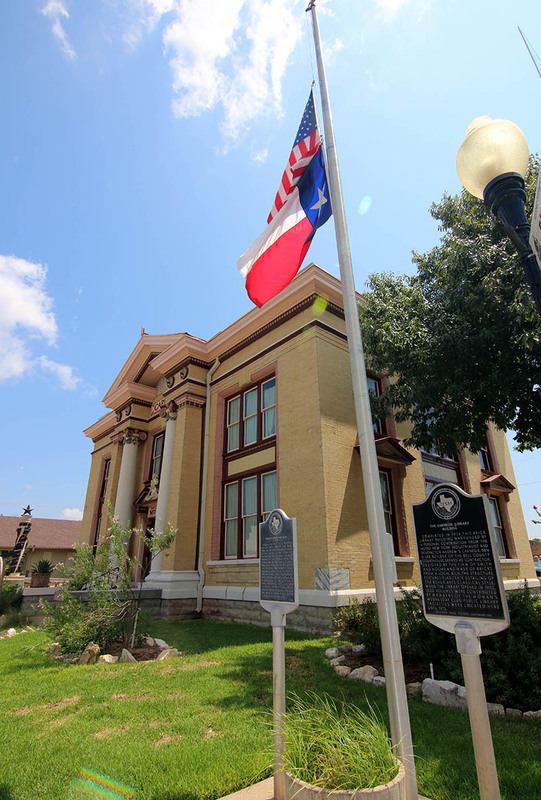 The most prominent building in this Texas Main Street city is the 1896 Wise County Courthouse, a Recorded Texas Historic Landmark listed in the National Register of Historic Places. 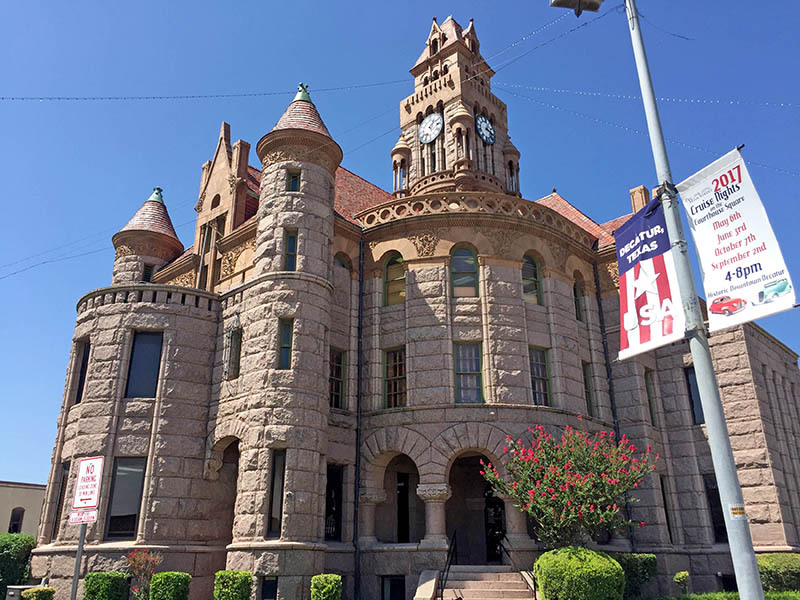 This extraordinary Richardsonian Romanesque Revival structure, designed by famous Texas courthouse architect J. Riely Gordon, prominently features Chisholm Trail plaques at its two main entrances. 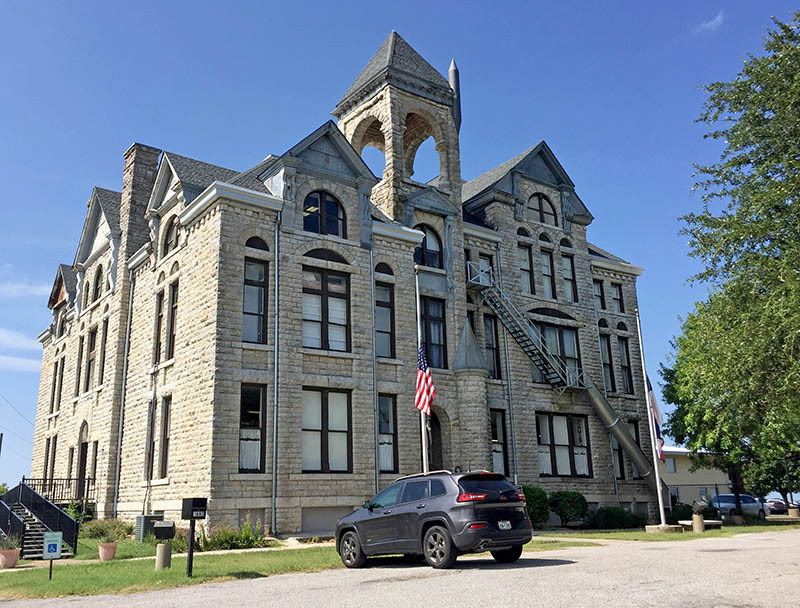 Another architectural gem awaits at the Wise County Heritage Museum, housed in the 1893 former administration building for Decatur Baptist College, which bills itself as the world’s oldest junior college. 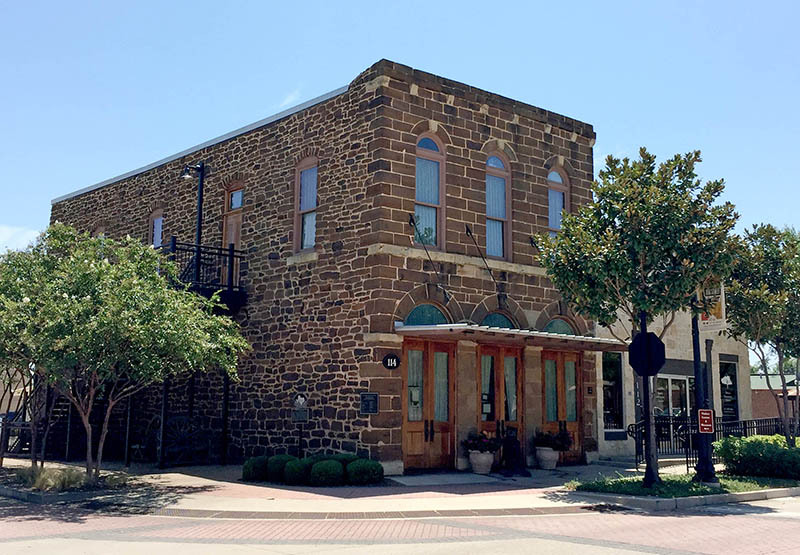 The impressive three-story structure—now headquarters for the Wise County Historical Commission and Wise County Heritage Society—contains historic photos, regional artifacts, and a notable research library with resources about the Chisholm Trail. About 10 miles east of town on Hwy. 380, a THC marker commemorates the nearby cattle trail crossing at Denton Creek. Nearly 30 miles southeast in Roanoke is the fetching Silver Spur Saloon, a Recorded Texas Historic Landmark. Built in 1886 and reputedly a cowboy-drawing brothel, the sandstone structure is the community’s oldest existing commercial building. Now serving as a visitors center and museum, the former Silver Spur features historic photographs, artifact display cases, and traveler information. To learn about other Chisholm Trail sites, download free copies of the THC’s The Chisholm Trail, Texas Brazos Trail Region, and Texas Lakes Trail Region travel guides. 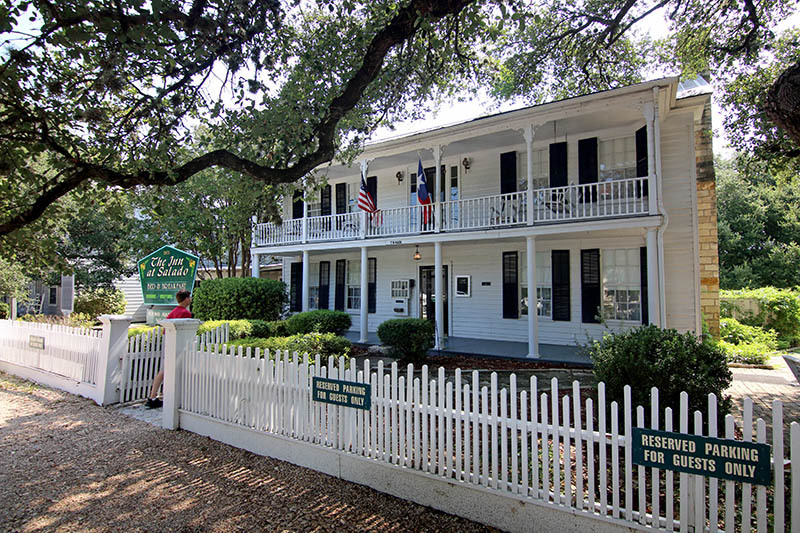 Salado’s historic Stagecoach Inn has been feeding travelers and locals for nearly 150 years.